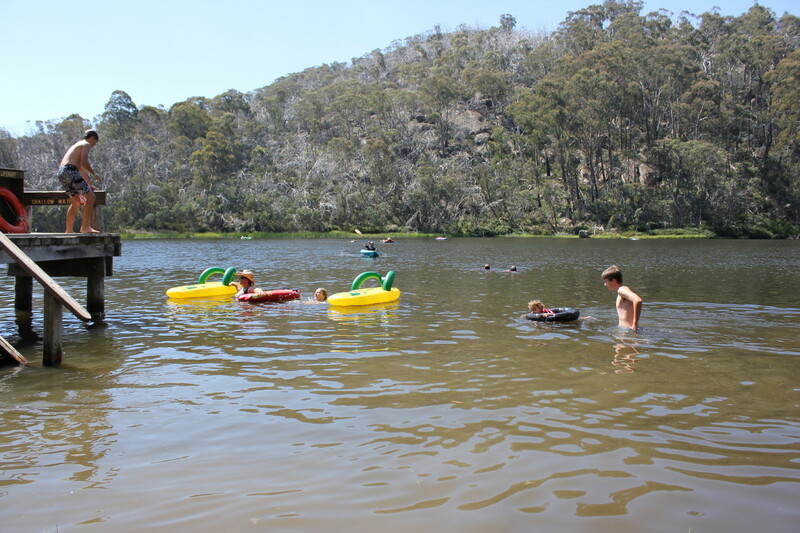 Lake Catani is a beautiful artificial lake on the Mt Buffalo plateau sitting at an altitude of about 1300m. We escaped here to take a breather from the recent run of hot weather and for a relaxing afternoon and a nice cool swim. 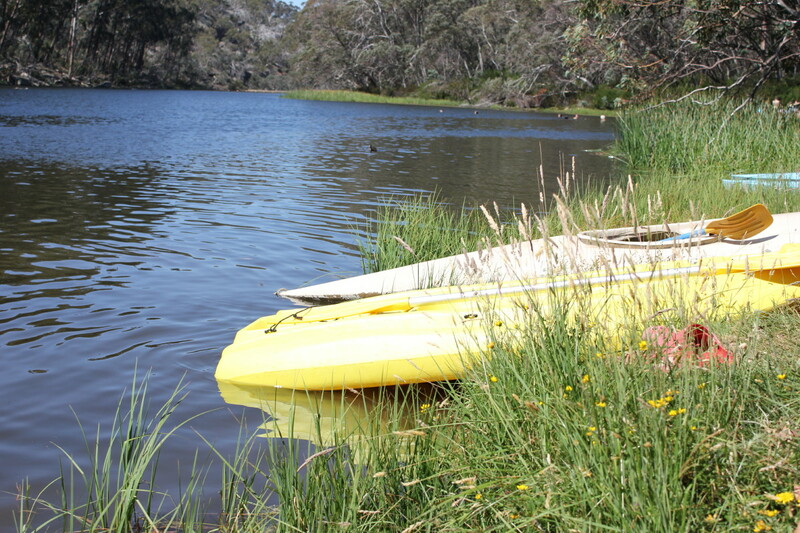 You can even hire a canoe for a pleasant paddle on the lake. We didn’t get one, that’s another whole story nearly! 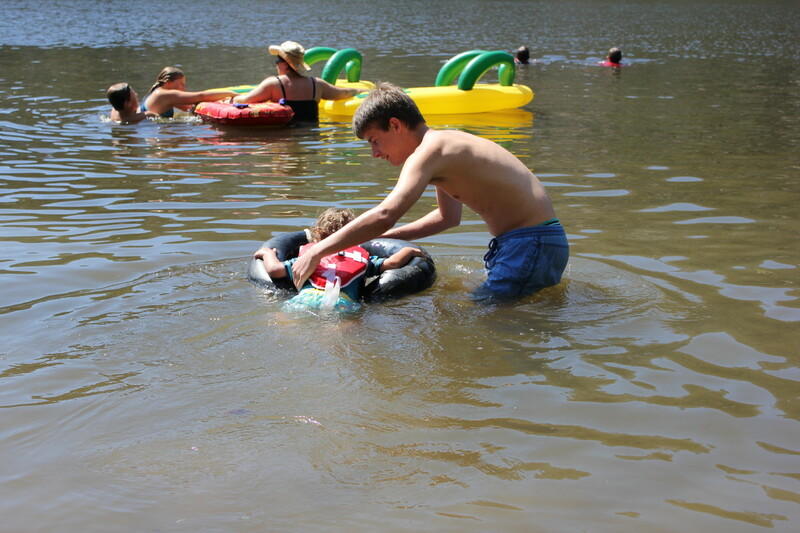 Here’s some kids having a wonderful time. Someone’s left their thongs in the water. 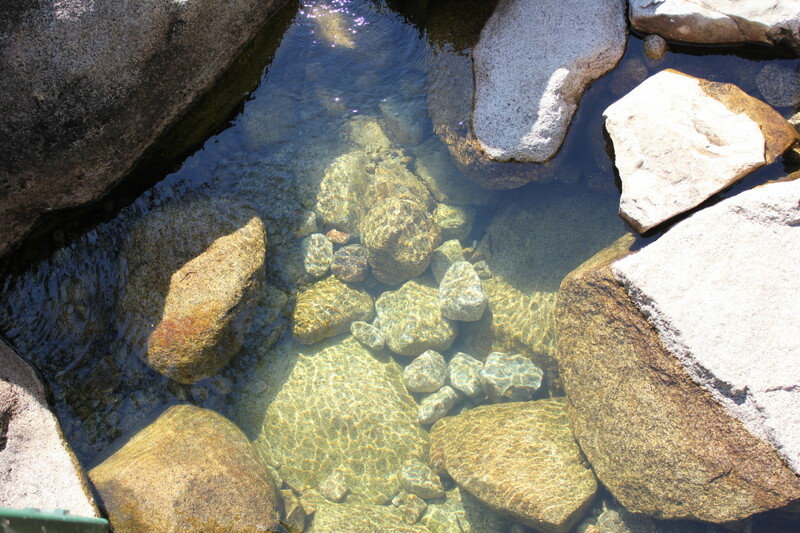 Water was very clean until it was stirred up, not to cold either. Temperature at this altitude was about 30 celsius as opposed to 36 in the valley. There were lots of wildflowers still out and one should come here in spring I think for quite a good show. 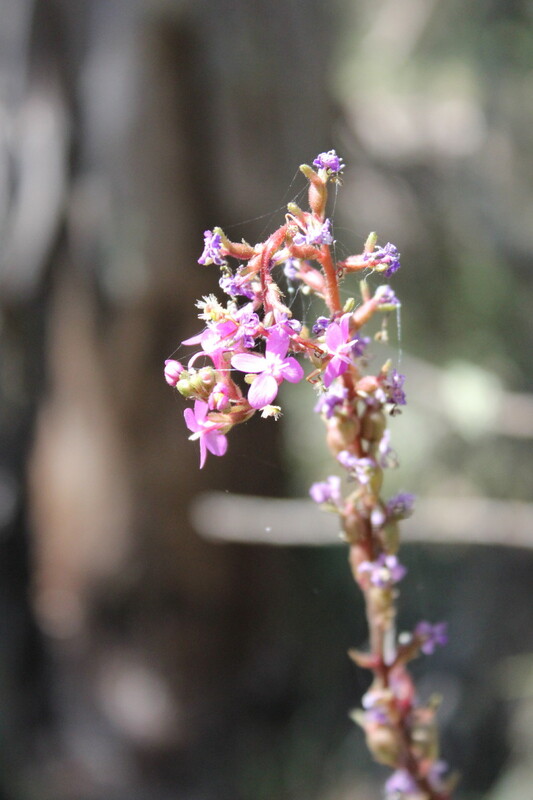 Not a great example but above is Stylidium montanum. Also known as a Trigger plant. 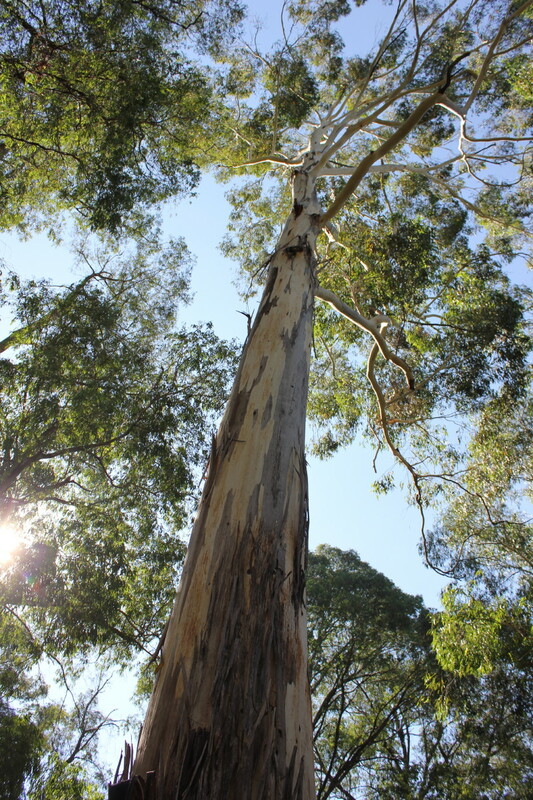 Eucalyptus delegatensis. Also known as Alpine Ash. Eurobin Falls with not much water falling down. Lady bath Falls with just a trickle coming down in the top left hand corner. 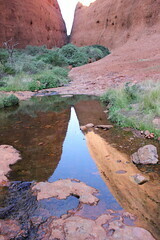 Just a trickle. After rain this is an absolute torrent. 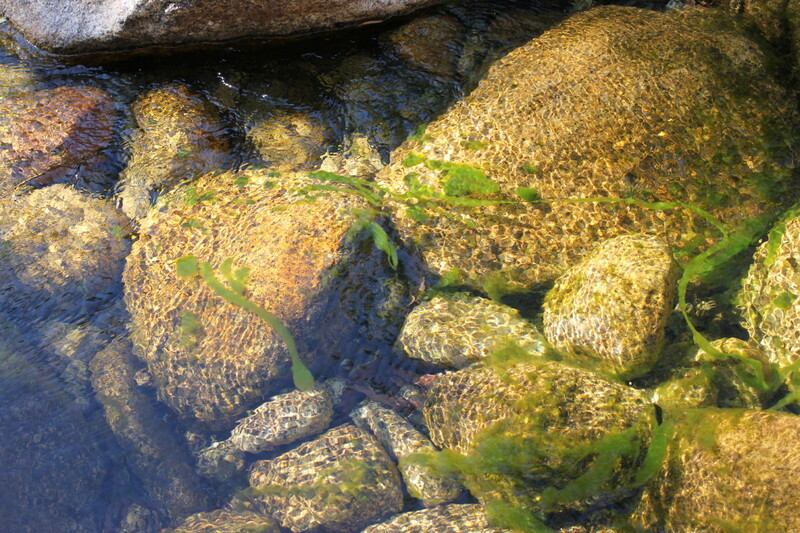 Crystal clear water at Lady bath falls. 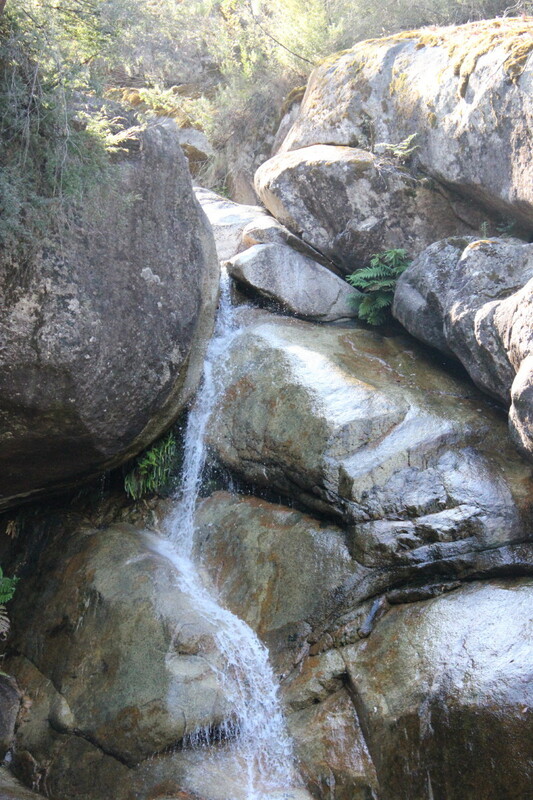 Some deep pools here too for a nice refreshing swim. Refreshing may not be the correct word! For those who don’t know Mt Buffalo, it’s a square-shaped(roughly speaking) mountain plateau with an altitude of 1723m. 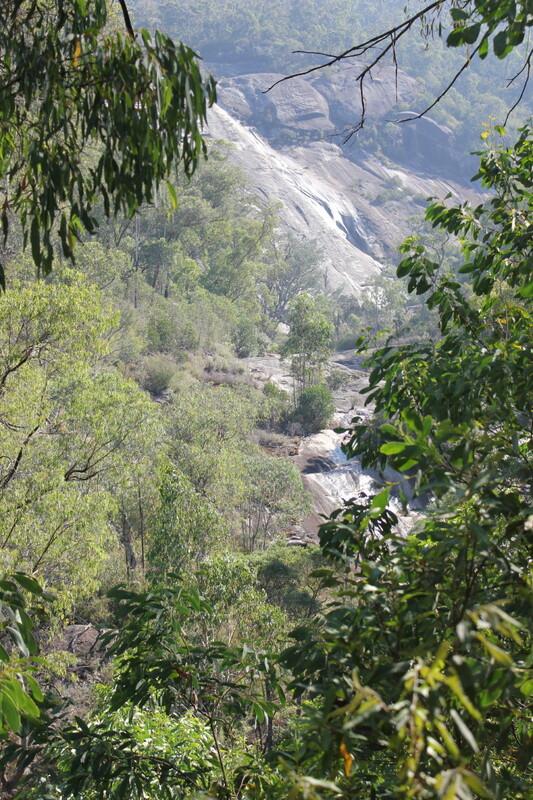 Situated in the north-east of Victoria roughly between Myrtleford and Bright. 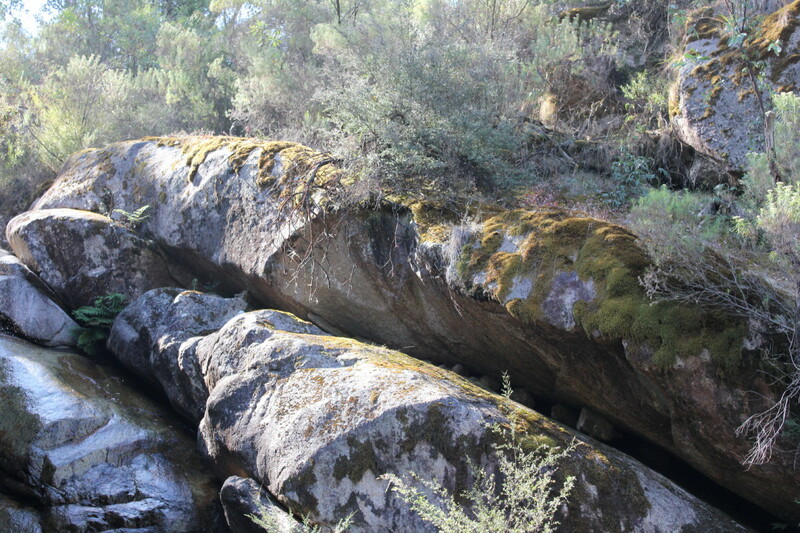 First seen by Hume and Hovell in 1824 and named so because it looked like a sleeping Buffalo. 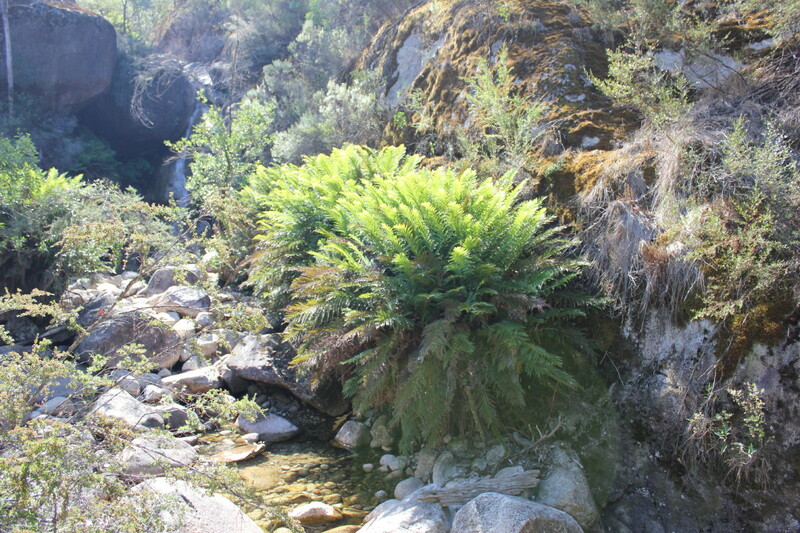 Over 550 species of plants can be found here with the majority being from the sub alpine and alpine plant communities. 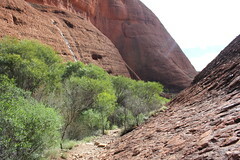 It has some impressive waterfalls, particularly after rain events. 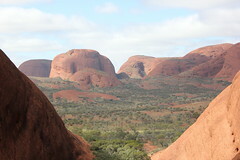 The water thunders down the huge granite slabs. 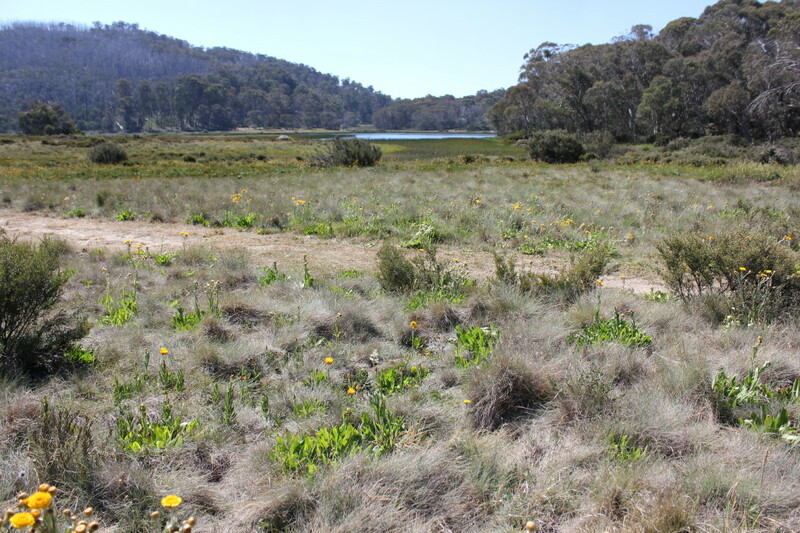 It’s an easy drive up to the plateau and you can walk up to the top of the Horn which is the highest point for magnificent 360 degree views of the Victorian Alps. 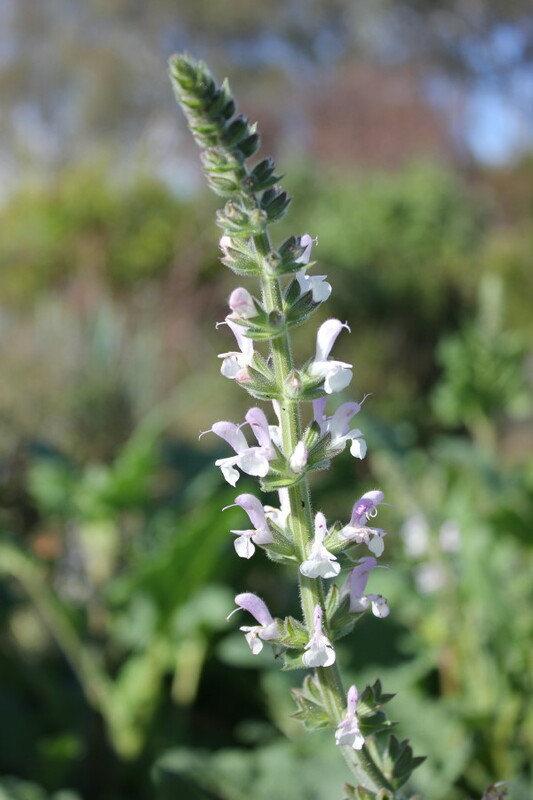 In this edition we will look at another Salvia which is a great long flowering hardy plant. 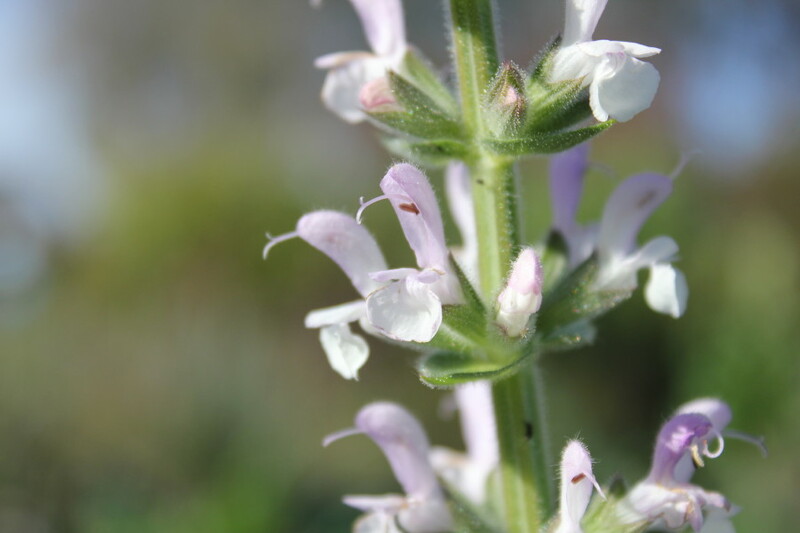 Salvia eigii is a beautiful herbaceous perennial which is native to Mediterranean woodlands and Shrub lands in Israel. 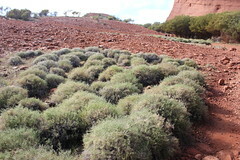 It grows in a clump with leaves in a rosette formation to about 30-50cm high and 60-100cm wide. 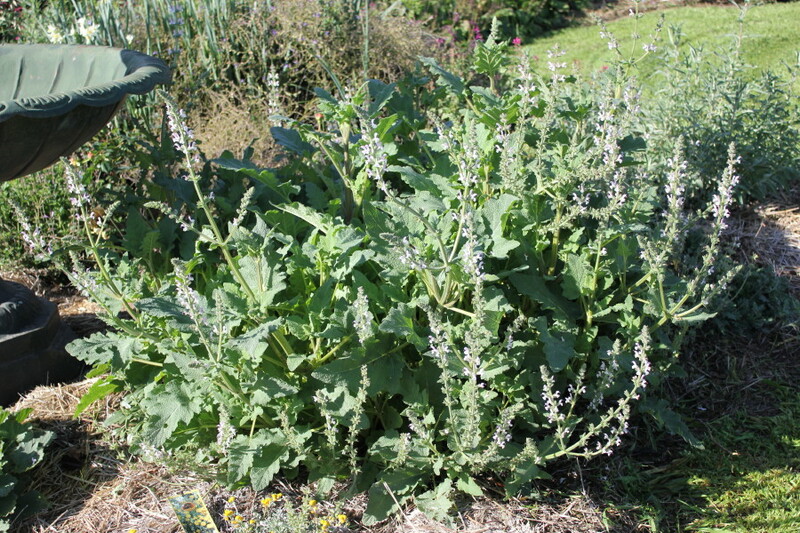 The flower stalk will grow to about 100cm high and has branching inflorescences. 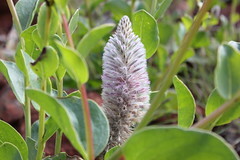 The flowers grow in whorls on the branching inflorescences which are about 20-30cm long. The flowers have a white lip and the hood is a light mauve colour on mine. Although literature describes it as having a pink lower lip and purple hood and ruby coloured calyx. 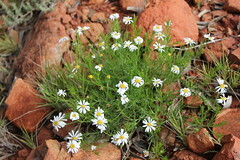 Flowering time is from winter through to spring. Although mine can still have flowers into mid summer. 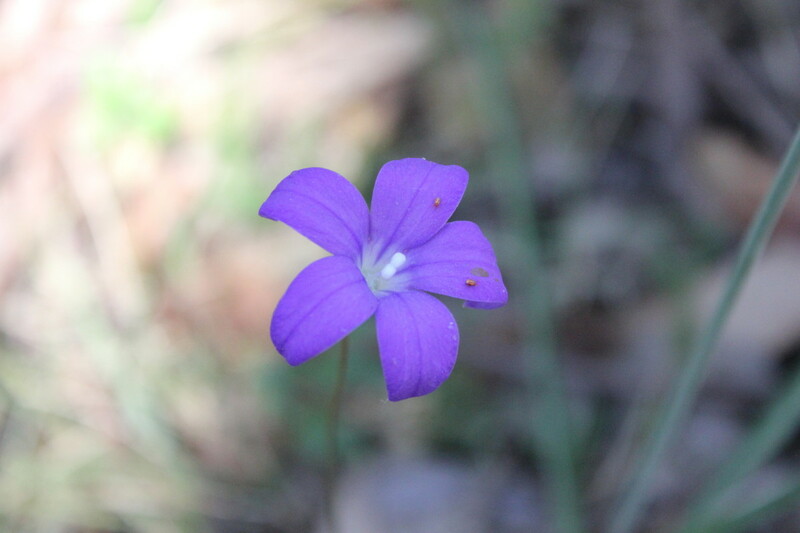 Close up of flowers below show their colour. Purple hood may be more apparent when flowers are new. 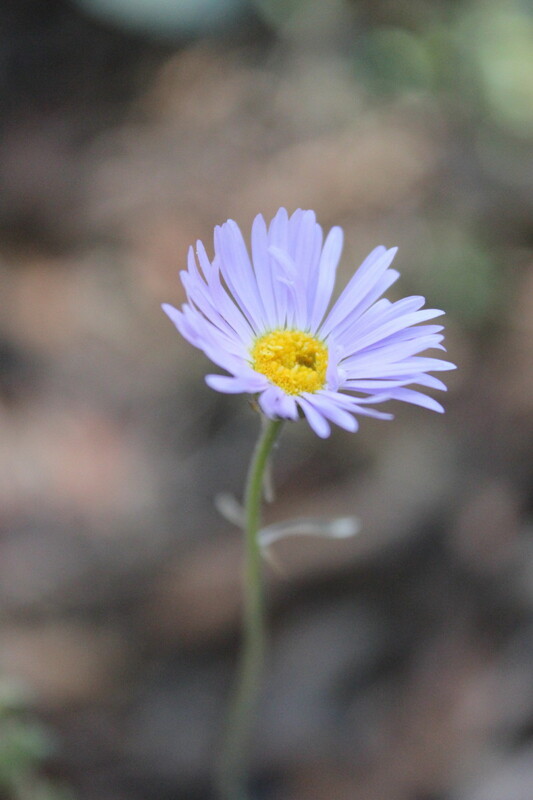 Always remember that soils can play a big part in flower colour as well. 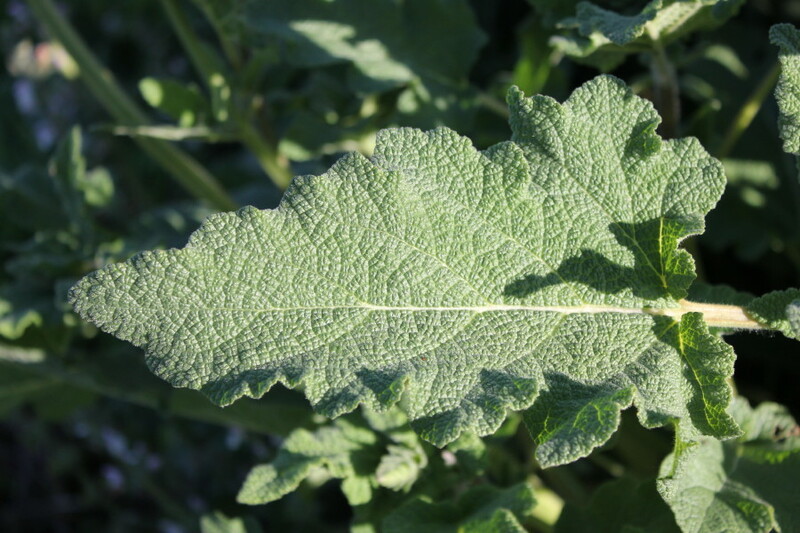 The leaves are a dark green colour and can grow quite large, even up to 30cm long and 20cm wide. 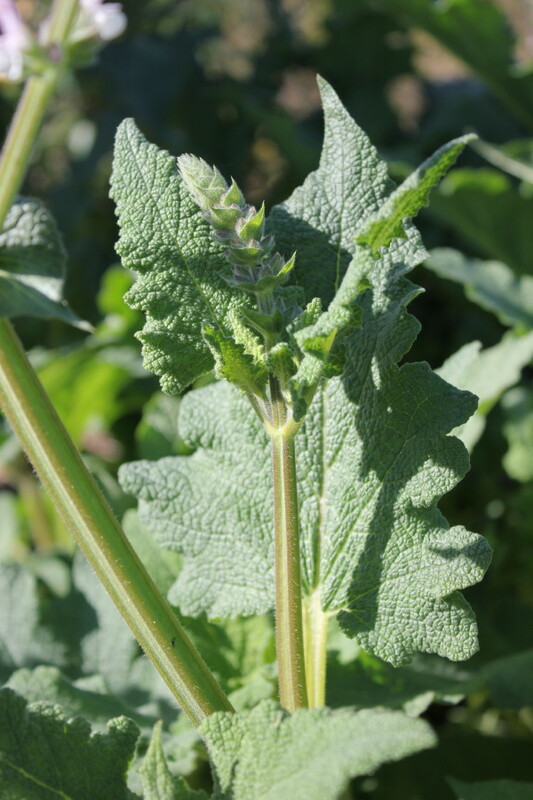 They are entire leaves and the margin is dentate or serrate and the arrangement is opposite(two leaves per node). 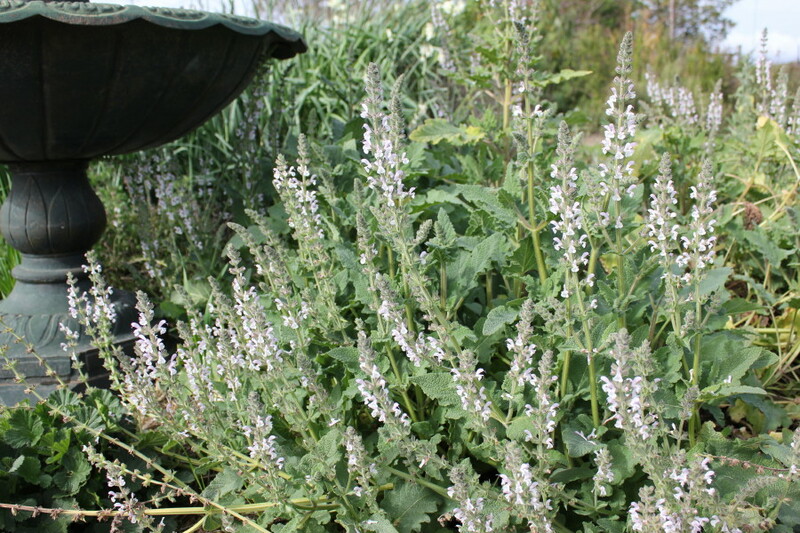 Salvia eigii is a drought and frost tolerant plant which makes it desirable for many situations. Excellent by its self in mixed planting or planted en mass in groups of 3 or 5 would make it look stunning. 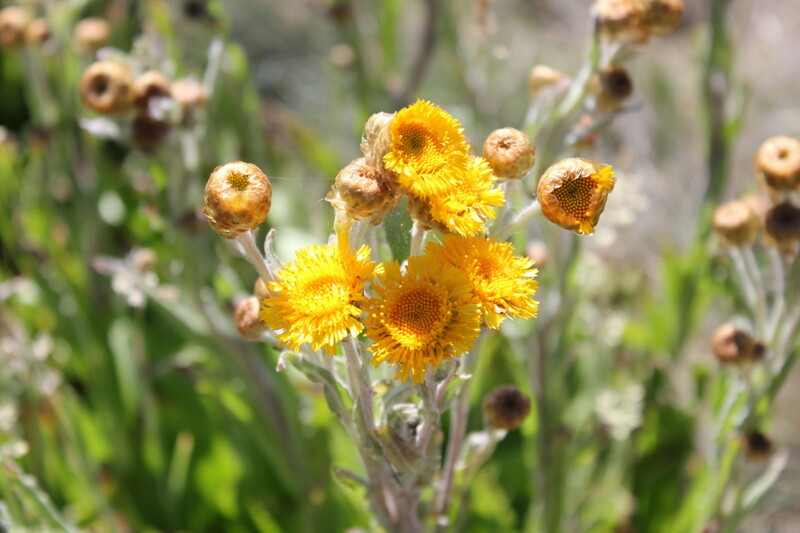 Easily grown in full sun or even dappled or light shade. Below you can see how the leaves are arranged opposite each other at each node. It was named after Alexander Eig 1894-1938 who was a botanist at the Hebrew University in Israel and one of the first plant researchers in that country. Born in Schedrin near Minsk in Belarus and died in Jerusalem from Cancer. He immigrated to Palestine when he was 15. This is an excellent Salvia to provide a splash of colour in those winter months when not much is flowering, and even as we move into the warmer months, it still continues to flower. All that is needed to keep it tidy is to prune the spent flower stems right back to its base. See below the many branched inflorescences. Hope you have all survived the start of the new year and broken all those new year resolutions you have made. Here’s a tip, they can be made anytime of the year and need to be followed through. Don’t procrastinate like me! To the matter at hand then. is the scientific name for a certain type of spider which is quite common in this country and likes to live close to humans. 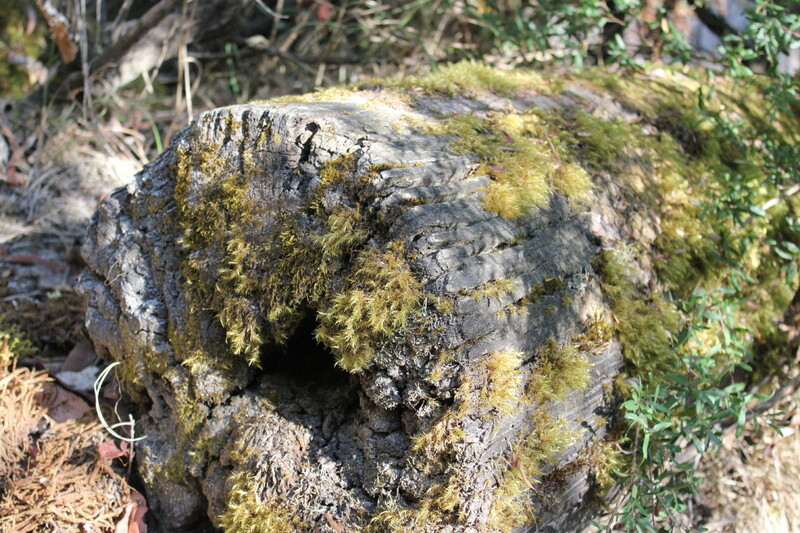 It loves to build nests in dry spots like kids toys, old tyres, sheds, empty tins and under metal, dry spots anywhere really and in the outhouse of course. Please check under that toilet seat! 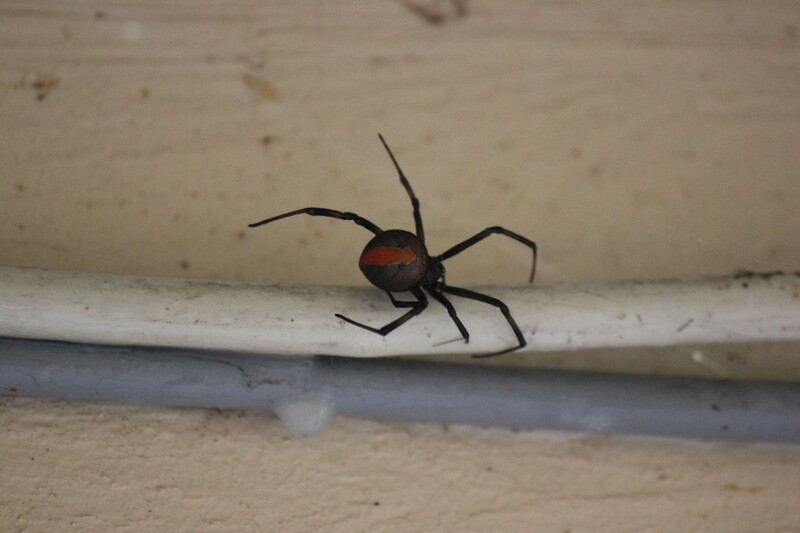 I’m pretty sure by now you know that I’m talking about the Redback Spider. It was quite common to find them in the Outhouse(outside toilet). Historical data shows that bites were common on the genitalia of victims until toilets were moved into houses. Ouch! Data shows that now most bites are on the fingertips then arms and thighs, trunk and then head and neck. Bites on the head and neck have increased since the use of safety helmets and earmuffs. Make sure you check them before putting on!!!! I found somewhere between 4-8 under a kids slide the other day. I wasn’t concerned about the exact number, just wanted to get rid of them all. 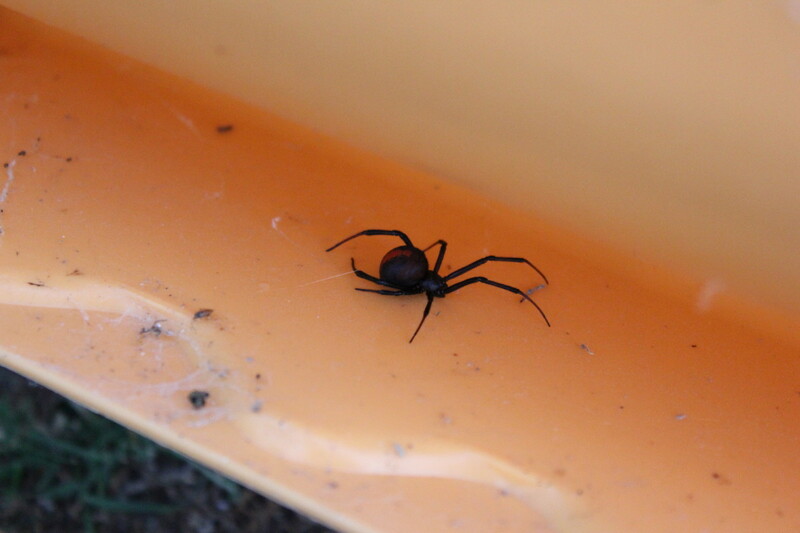 The Redback and its relatives in the genus Lactrodectus are among the most dangerous spiders alongside the Funnel Webs and others. Well wouldn’t you know it we have both those here. 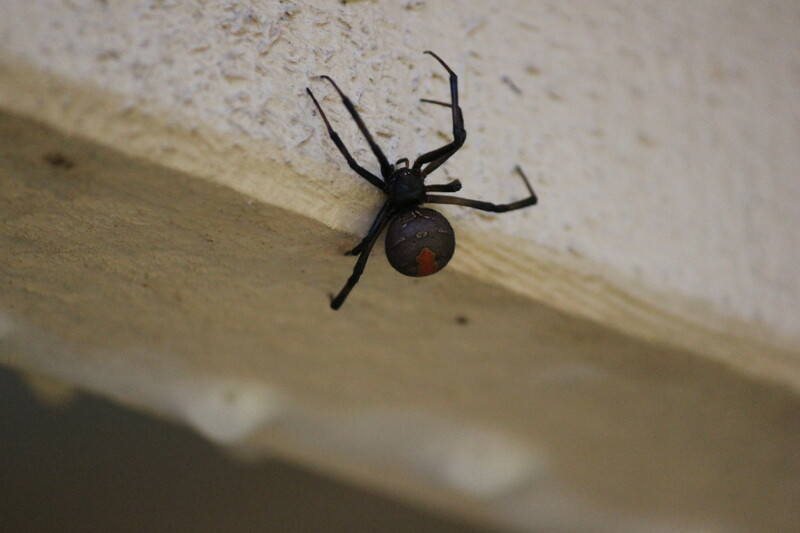 The Redback is responsible every year for more poisonous bites than any other venomous creature in Australia, and yes we do have lots of nasty creatures. 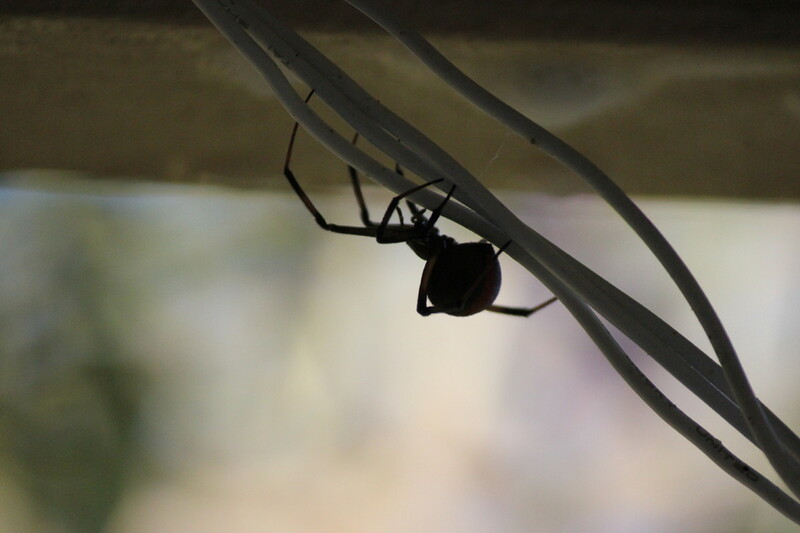 Estimates are over 2000 bites per year and nearly all of these are caused by the female because of its large size in comparison to the male Redback. 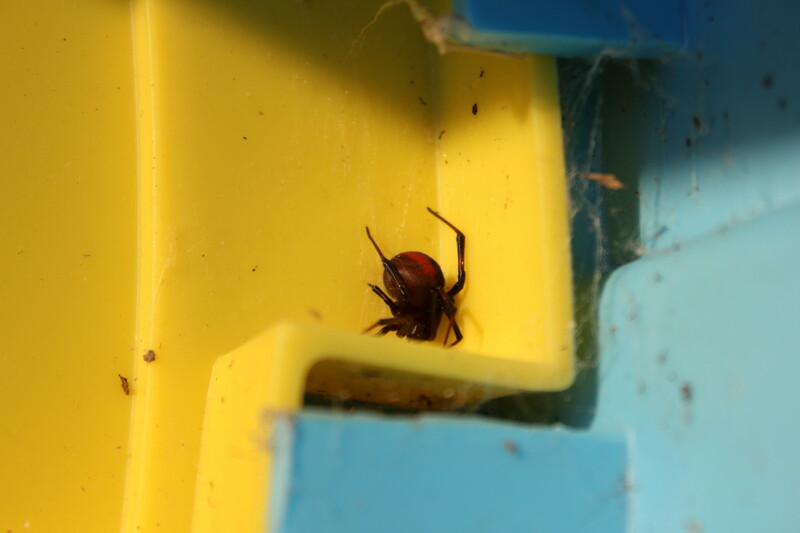 Here’s a female below lurking under a slide. Here’s the good news. Since the antivenom was introduced in 1956, no human has died directly from a bite. 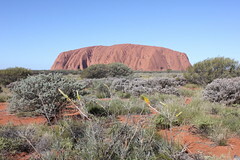 Although 12 people have been killed prior to 1956 due to Redback bites. The female has a body about 1cm long with the first pair of legs longer than the rest. The round abdomen is black(sometimes brown) with a red stripe(sometimes orange). The male in comparison is only 3-4mm long and light brown in colour with white marks on the upper surface of the abdomen and a pale hourglass mark on the underside. Females always get the looks don’t they! 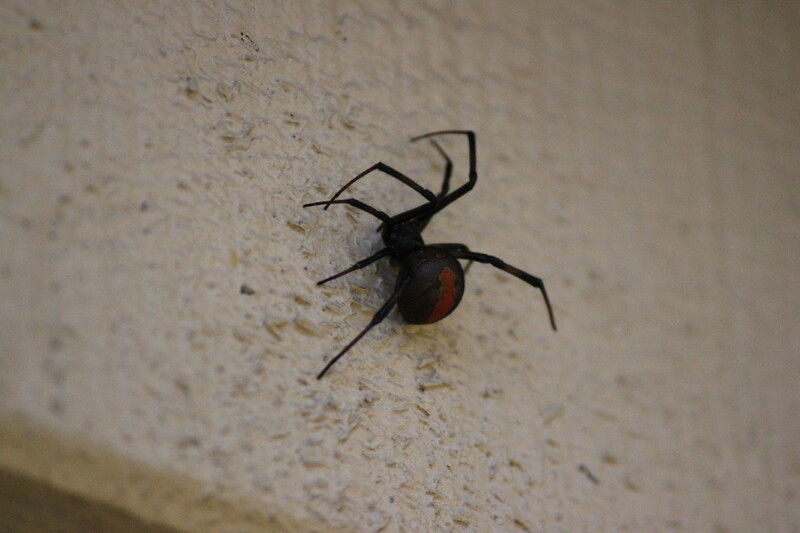 Redbacks are mostly nocturnal and remain concealed during the day with the female spinning her web during the night. 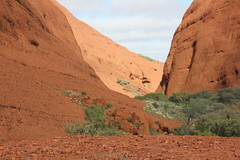 Females also usually remain in the one location for the majority of their adult life. The web is an irregular tangle of fine strong silk. 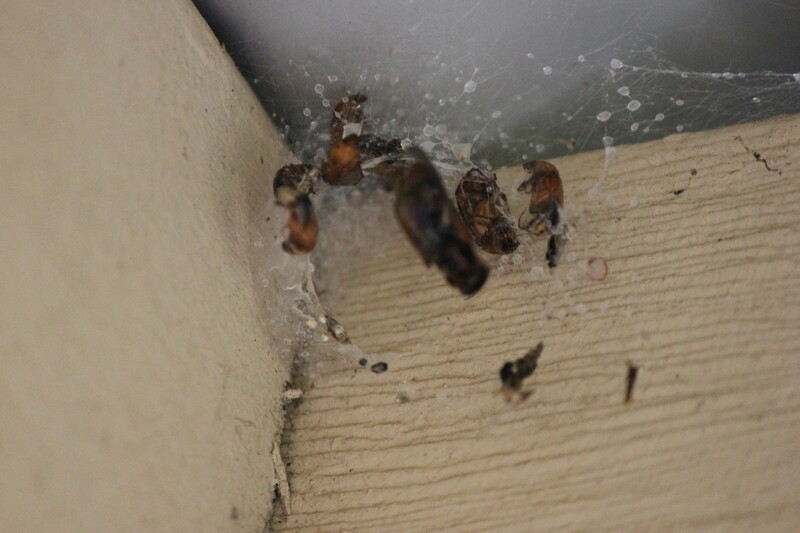 The rear part of the web forms a funnel, this is where you will find the spider and its egg sacs. You can sort of see the funnel shape below behind the unsuspecting insects who are no more. 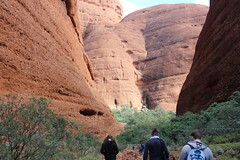 Redbacks like to feast on insects, sometimes larger animals are ensnared in the web. Once trapped in the web, the victim is sprayed with a substance a bit like superglue to immobilize it. It is then repeatedly bitten and trussed and taken into the web where its liquified insides are sucked out. Here’s another view of the spider. 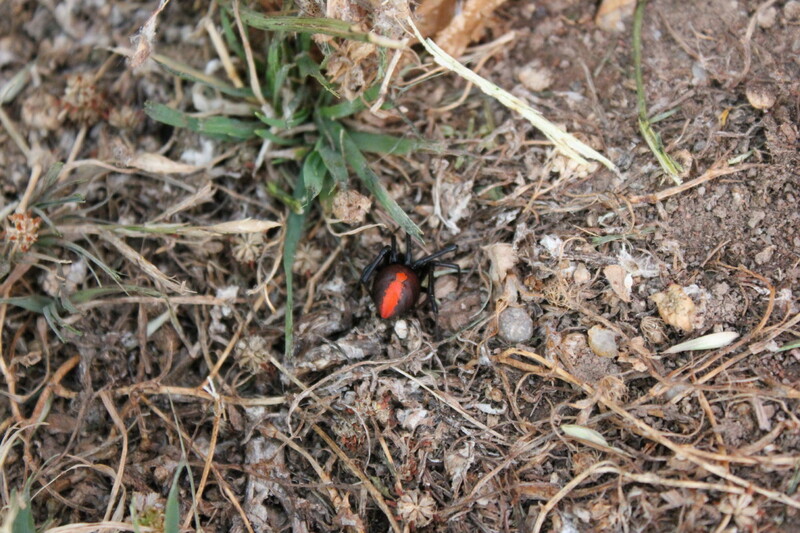 Redbacks are one of only two known animals where the male actively assists the female in its death during mating. During mating the male moves its abdomen over the females mouthparts. In most cases the male is consumed while mating. Those males that are not eaten during mating die soon after from their injuries. Hmmmm. This is a dangerous beast! 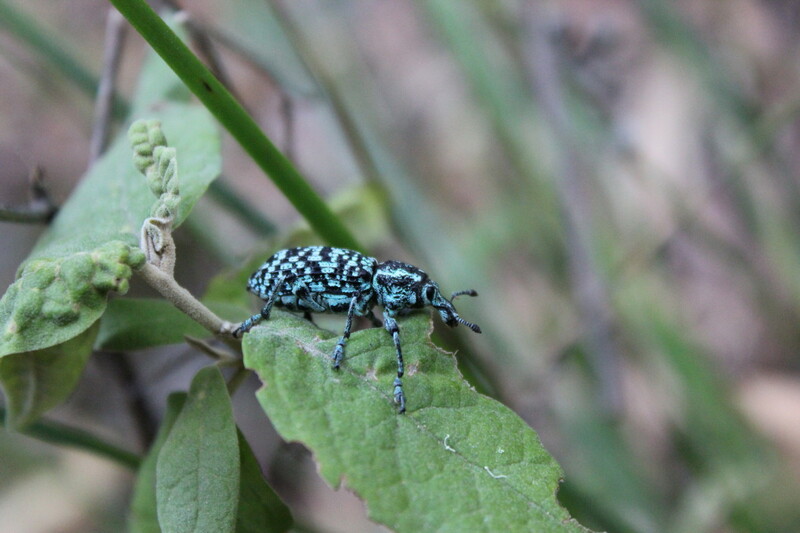 These little beasts have now been found in small colonies in parts of New Zealand. They have also been seen in United Arab Emirates, greenhouses in Belgium, Preston in England. Two were discovered in an Iranian port city. Some observations indicate that they could be present in New Guinea, India and the Philippines. Osaka, Japan have colonies, also Fukuoka city. Many hundreds have been found at the container terminal in Fukuoka. Yes, it’s a scary looking creature, yes, it’s a dangerous creature, yes, it’s a fascinating creature, and yes, you should wear gloves in the garden. Remember this, no one has died from this spider since 1956 but you may be a little sore and sorry though if you do get bitten. Watch out! !